TORONTO -- Pfaff Automotive Partners has formed a partnership with Briggs Automotive Co. (BAC) to import the U.K. company’s Mono track-day special. The single-seat Mono, launched in 2011, features a 305-horsepower four-cylinder engine based on the Ford Focus ST power plant, running through a six-speed sequential gearbox. The body is carbon fibre and steel with a fully adjustable suspension. The Mono weighs only 580 kilograms (less than 1,300 lb.) or about half the weight of a compact sedan. 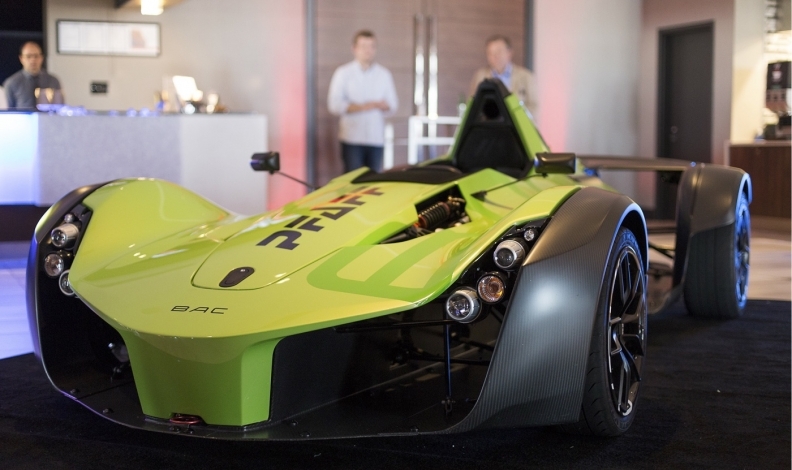 BAC claims it can reach 60 mph in 2.8 seconds. “The Liverpool-based manufacturer tailors every aspect of the Mono to the driver, including a made-to-measure seat and steering wheel,” he said. BAC co-founder Neill Briggs said the company was delighted to partner with Pfaff and add Canada to the more than 30 markets it has for the Mono. “Having a specialist dealer group in Canada is testament to just how impressive a machine it is and just how competitive it is as a track car,” he said. Pfaff expects to sell a handful of Monos a year.